It has no cross reactivity to DAP kinase. Synthetic peptide corresponding to Human ZIP Kinase aa 279-298 (internal sequence). ZIP kinase antibody was raised against a peptide corresponding to amino acids near the center of human ZIP kinase. 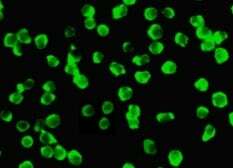 HeLa whole cell lysate or Jurkat whole cell lysate. Our Abpromise guarantee covers the use of ab2057 in the following tested applications. WB Use at an assay dependent concentration. 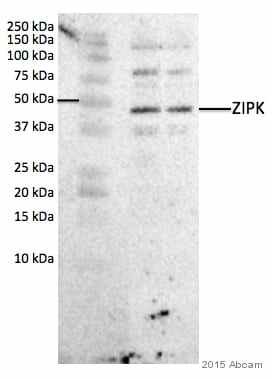 Can be blocked with Human ZIP Kinase peptide (ab8383). Serine/threonine kinase which acts as a positive regulator of apoptosis. Phosphorylates histone H3 on 'Thr-11' at centromeres during mitosis. Regulates myosin light chain phosphatase through phosphorylation of MYPT1 thereby regulating the assembly of the actin cytoskeleton, cell migration, invasiveness of tumor cells, smooth muscle contraction and neurite outgrowth. 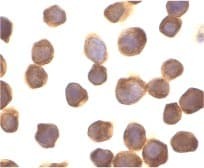 Involved in the formation of promyelocytic leukemia protein nuclear body (PML-NB), one of many subnuclear domains in the eukaryotic cell nucleus, and which is involved in oncogenesis and viral infection. Belongs to the protein kinase superfamily. CAMK Ser/Thr protein kinase family. DAP kinase subfamily. Ubiquitinated. Ubiquitination mediated by the UBE2D3 E3 ligase does not lead to proteasomal degradation, but influences promyelocytic leukemia protein nuclear bodies (PML-NBs) formation in the nucleus. Nucleus. Cytoplasm. Nucleus > PML body. Relocates to the cytoplasm on binding PAWR where the complex appears to interact with actin filaments (By similarity). Localizes to promyelocytic leukemia protein nuclear bodies (PML-NBs). Associates to centromeres from prophase to anaphase. 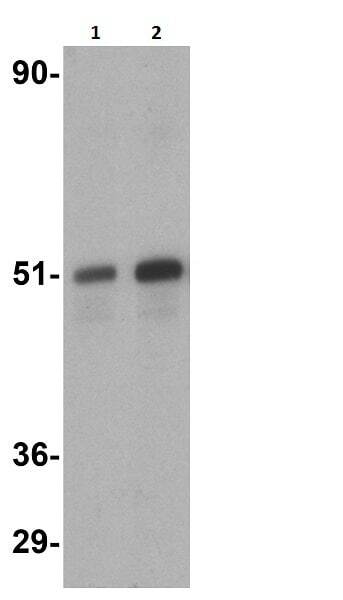 Western Blot of HeLa and Jurkat cell lysates labeling ZIP Kinase with Anti-ZIP Kinase antibody (ab2057) at 1µg/ml. 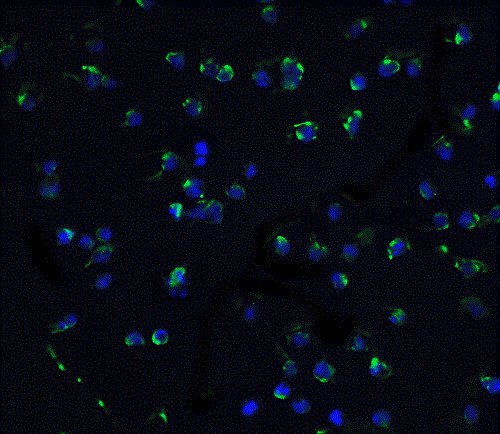 Immunofluorescence of ZIPK in Jurkat cells using ab2057 at 10 ug/ml. Publishing research using ab2057? Please let us know so that we can cite the reference in this datasheet.